HomeWeight lossGain WeightHow can I gain weight? 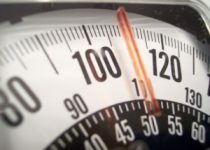 A common question asked by most of the skinny people, “how can I gain weight?”. It might surprise the fat ones as it’s commonly believed that getting slim is the goal! No! getting fit is! and overweight and underweight both are unfit! So first of all lets see if you really need to gain weight? If yes then is it possible? if yes then how? Do you need weight gain? Before starting gaining weight, first make sure that you really are underweight and need to gain some weight! Carefully calculate your height and weight to calculate your BMI (body mass index). If it’s in underweight category then you definitely need to gain some weight. However it’s best to consult an expert to know if you really need to gain some weight and how much should it be. Another important thing is to focus on gaining the muscles not the fat. You need to ask “how to get stronger” or “hot to get fit”, not “how to get fat”. For good weight gain, we need to combine both exercise and diet. It’s a misconception that exercise is only for weight loss. Exercise is to make body fit and strong. It gets rid of toxins and excessive fat from the body. A slim person don’t have excessive fat so he need not to worry about losing it anymore. Only include good diet with exercise along with good rest and leave it on the body to build itself! It knows how to do it! Gaining weight is very easy. You just have to understand the dynamics of the body and you can achieve it. If you’re unable to gain weight due to some medical issue with your body, always consult a expert doctor so that you can be treated for the disease! otherwise simply having a good diet with good and healthy exercise is enough to give you the amazing body that you want!